At our Maui Window Blinds and Shutter Company, our professional Maui window treatment experts are dedicated to helping clients transform their homes with custom-designed window treatments that are carefully selected and properly fitted. We take a huge amount of pride in every window covering that we provide, and we always guarantee our clients’ complete satisfaction with all of the the work and products that we provide. Whether you’re looking for blinds, shutters, shades, or even flooring and carpeting, our professionals will always be ready to provide you with excellent service and ensure that you’re getting the best products for your home. Our team of experts understand how important your window treatments are to your home, so we’ll always strive to provide you with high quality customer service and help you find window treatments that are perfectly complementary to your home’s interior design and its architectural elements. Schedule a free in-home consultation with one of our experts today, and we’ll be looking forward to assisting you. Our classic shades are an excellent addition to nearly any style of interior decoration, and our professionals will work with you to find the perfect shades for your Maui home. From Roman shades to woven wood shades, we have a wide selection of different styles and designs, and you’ll be able to find the perfect shades for your home, your personal tastes, and your budget. We’ll help you navigate our wide selection of shades and find the perfect set for you and your home. 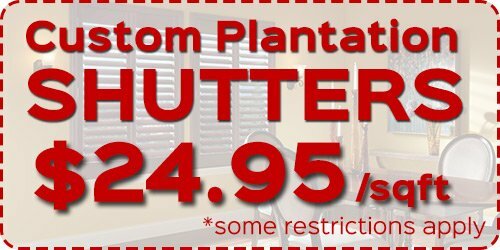 No other window treatments have the classic appearance of window shutters, which can fit very well with both modern and traditional window shutters. Window shutters were originally used primarily for insulation purposes, but today, they’re almost exclusively used for decoration. Our professionals can offer you shutters that will not only have a huge and positive effect on your Maui home’s appearance, but also which will significantly improve your energy efficiency. Our window treatments experts can work with you to find the perfect window shutters for your home. Whether you’re looking for interior shutters or exterior shutters, wood or polycore shutters, our Maui Window Blinds and Shutter Company will be able to provide you with shutters that look great and that can provide you with many other practical and functional benefits. Whether you’re looking for wood blinds or faux wood blinds, our professional Maui window treatment experts can help you find high quality window blinds that will improve your home’s interior design, make your home more comfortable, and even increase its resale value. Wood blinds can be stained or painted any color, and they be completely customized to fit with your home’s architectural design. Our experts will make sure that your new wood blinds are perfectly suited for your home. If you have pets or children in your home, our faux wood blinds can be a much more practical choice for your Maui home, and they’ll provide you with the same aesthetic value of real wood blinds. They’re also a great choice for rooms like kitchens, bathrooms, garages, and laundry rooms, where real wood blinds might be more easily damaged. Any time you’re looking to upgrade or enhance your home’s appearance, our experts can help. We offer free, in-home consultations, and during those, our experts will will work with your directly to find the perfect new window treatments for nay room in your home. We’ll give you our professional advice and opinions, but we’ll also listen to your ideas and your needs to help you find blinds, shades, or shutters that are the perfect addition to your home’s interior design style. 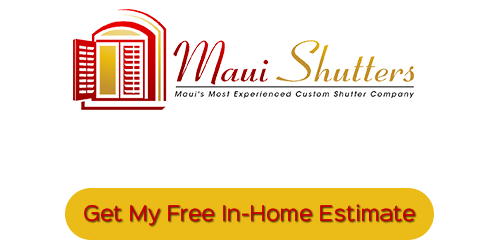 After you’ve made your decision, our Maui Window Blinds and Shutter Company also offer free measurement services, so you’ll always know that your new window treatments can be perfectly fitted in your Maui home. Are Blinds Or Shades Right For Your Maui Home? If you’re looking for a Maui Window Blinds and Shutter Company, then please call 808-495-3434, or complete our online request form. MOBILE SHOWROOM, WE COME TO YOU!